Apart from a few unsubstantiated theories, it was understood that human settlements in North America, made by settlers who crossed over from Russia over the Bering Strait, date back to about 14,000 years ago, which was toward the end of the last Ice Age. However, a recently published study pushes that timeline back by another 10,000 years, when the Ice Age was at its height. Such a claim had been made about 30 years ago by Jacques Cinq-Mars, an archeologist, who excavated the Bluefish Caves on the banks of the Bluefish River in Canada’s Yukon province, near the border with Alaska. Based on radiocarbon dating of animal bones he found in the caves, he proposed humans had settled in the area as far back as 30,000 years ago. However, his hypothesis was not widely accepted in the scientific community, given the lack of other sites that could be dated back to the same time period, as well as the fact that just finding animal bones in a cave was not evidence that they reached there as a result of human activity. Lauriane Bourgeon, a PhD student at the Université de Montréal’s department of anthropology in Canada, worked with her professor Ariane Burke, as well as Thomas Higham from Oxford University’s Radiocarbon Accelerator Unit in the United Kingdom, to examine about 36,000 bone fragments found in the Bluefish Caves. And she found at least 15 bones showed “undeniable traces of human activity,” with another 20 or so showing probable traces of the same sort of activity. Beringia refers to a large area in and around the Bering Strait, stretching from Canada’s Northwest Territories across Alaska and all the way to Lena River in Russia. Genetic studies have shown a few thousand individuals lived in the area, isolated physically and genetically from the rest of the world, between 15,000 and 24,000 years ago. “Our discovery confirms the ‘Beringian standstill [or genetic isolation] hypothesis’. Genetic isolation would have corresponded to geographical isolation. During the Last Glacial Maximum, Beringia was isolated from the rest of North America by glaciers and steppes too inhospitable for human occupation to the West. It was potentially a place of refuge,” Burke said. 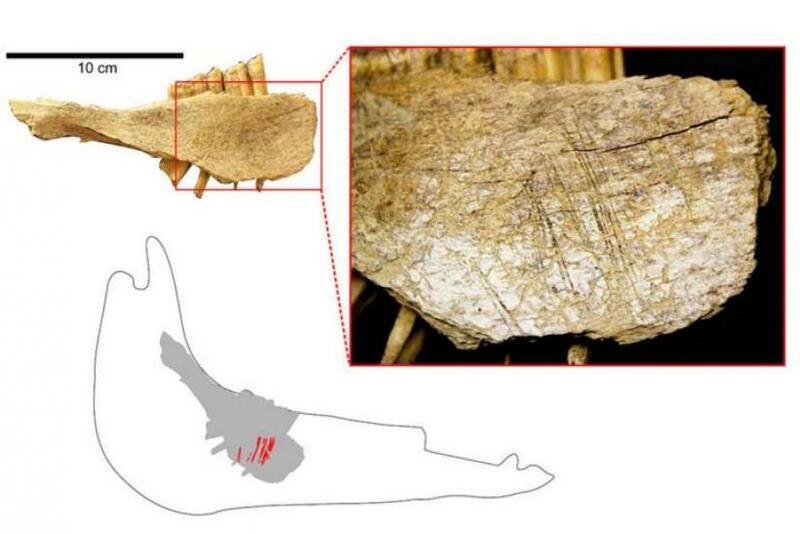 The study, titled "Earliest Human Presence in North America Dated to the Last Glacial Maximum: New Radiocarbon Dates from Bluefish Caves, Canada,” was published in the journal PLOS ONE.